Lake Winona Manor is a beautiful, skilled nursing home providing rehabilitative care, traditional long-term care and memory care. 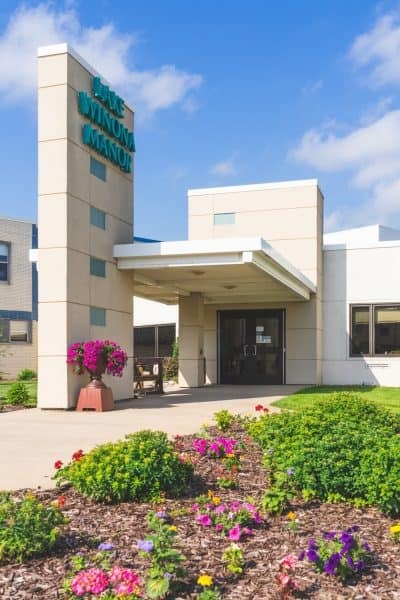 Overlooking Lake Winona and adjacent to the hospital and clinic, the staff cares for individuals needing short-term rehabilitation after hospitalization and those who wish to make Lake Winona Manor their long-term home. Using a team approach, the staff develops personalized care plans to meet residents’ goals and provides comprehensive therapeutic recreation activities to enrich their lives. Lake Winona Manor’s comfortable, neighborhood-like settings also provide an ideal environment for socialization.